Green Alexander Wood was born on 31 December 1865 in Texas. Green Mark Wood and Mary Jane LeGrand appeared in the US federal census of 1 June 1870 in Huntsville, Walker County, Texas. Other members of the household included Green Alexander Wood, Rush Brevard Wood, Solomon William Wood, Robert Cummings Wood, Martha Frances P. Wood, Milton LeGrand Wood, George Scovell Wood and Campbell Clark Wood. Green Alexander was photographed as a little fellow. Green Mark Wood appeared in the US federal census of 1 June 1880 in Walker County, Texas. Other members of the household included Green Alexander Wood, Mary Jane LeGrand and Campbell Clark Wood. Langston James Goree Jr. appeared in the US federal census of 1 June 1880 in Navasota, Grimes County, Texas. Other members of the household included Green Alexander Wood, Martha Frances P. Wood, Langston James Goree III and Robert Breckenridge Goree. He married Cappie Sangster, daughter of John W. Sangster and Margaret E. Hunter, on 19 November 1886 in Grimes County, Texas, Marcus Mallard marriage list. Evelina Wood wrote from Willis to her grandson Wood Powell in Christian County, Illinois on 12 April 1887, " . . . Your aunt Mary Jane is going to Montgomery soon & from there to North Carolina to see Mrs. Brevard, the lady by whom she was raised. Dr. Legrand wrote Mary Jane he would foot all of her expenses - a dear good brother. Milton Wood is building a brick house with seven rooms. He is making money & saves it - he has only one child. George Wood & wife will begin keeping house now very soon. Green Aleck will remain with his father & mother. . . ."
Letter in private collection of B. M. Henwood, descendant of Wm Wood Powell; original transcription by R. E. Reichardt. Green Alexander Wood became a widower at the 22 September 1887 death of his wife Cappie Sangster. Green Alexander Wood died on 6 December 1888 at age 22 in Navasota, Grimes County, Texas, of typhoid fever. He was interred at Oakland Cemetery, Navasota, Grimes County, Texas. The following appeared on 7 December 1888 in The Galveston Daily News: (Navasota, December 6) Green A. 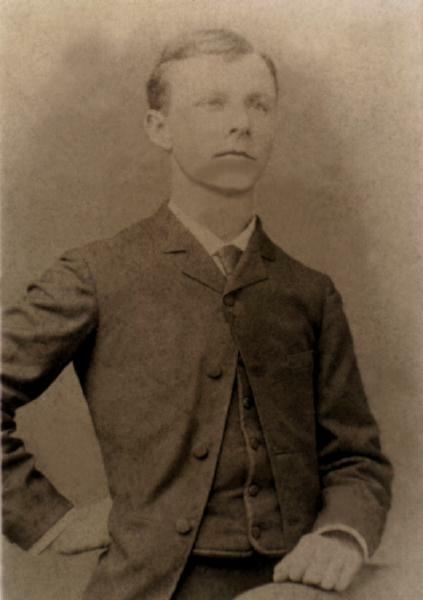 Wood, Jr., a prominent and rising young business man of this city, died at 3 p. m., to-day of typhoid fever, after an illness of about ten days. He was aged 23 years.